When constructing a bathroom for your sweet home, make sure that fittings you choose for it, are in accordance with your design and personal preferences. The showerheads are among the most important bathroom accessories and they come in a range of styles and usability options to choose from. Picking the right shower requires taking many things such as water pressure levels, finishes, spray types, and its features a lot more in consideration. Before you narrow down your search for a showerhead based on the wall or ceiling mounted piece, figure out the place where it needs to be installed. A few tips below by AmerAdnan® will help you find the right shower head for your bathroom. Before deciding about the shower head that would best define your preferences, it is important to know about the types of shower heads that are available in the market. Please continue to know more. • Adjustable Shower Heads: They feature different spray options and water pressure levels that can be changed by rotating the shower head clockwise or anti-clockwise. These showerheads are a good choice for all those who always want to adjust the water flow as per their needs. • Rain Shower Heads: As the name suggests, these are huge shower heads that give the feeling of a natural rainfall. These showerheads are considered as a water saving and eco-friendly option for bathrooms. The rain showerheads are available in different sizes and shapes including the square and round shower heads to match dissimilar requirements. The rain showerheads are seen mostly in all luxury homes in Pakistan these days because of their extravagance they offer. • Handheld Shower Heads: The handheld showerheads have a hose that is attached to the head for those who want to shower water onto different parts of the body manually. They may also be locked into a fixed position by holding them up in the holders installed on the walls. • Low-Flow Shower Heads: These are designed especially to conserve water. The low-flow shower heads comprise many options including the spray, rain fall and many more for ultra-efficient and highly economical use of water. • Fixed Shower Heads: They have remained one of the most popular kind of showerheads over the centuries and yet today, they are considered a good choice around the world. The fixed showerheads are cheapest in terms of price and are attached to a pipe or faucet hole in the shower wall. • Dual Shower Heads: These showerheads offer the utilities of both fixed and handheld showerheads for convenient bathing and usability. They are cost efficient and quite popular across Pakistan. • Rain: This kind of showerheads offer a low-flow patterns with a large shower head and light pressure that gives the feeling of a real rainfall. • Massage: These showerheads offer high pressure water spray to give massage-like relaxation to the bather. • Jet: These showerheads offer high pressure water pattern that comes with a concentrated stream option. Conclusively, every person should choose the showerhead based on their personal preferences. 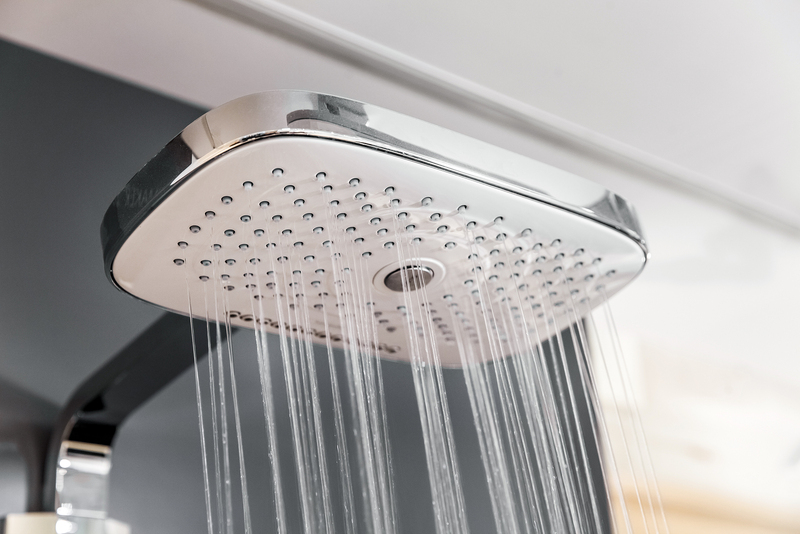 Those who are more into relaxation should opt for showers with massage spray options and higher pressures whereas those seeking water-saving options should go for rain showerheads that save maximum water.